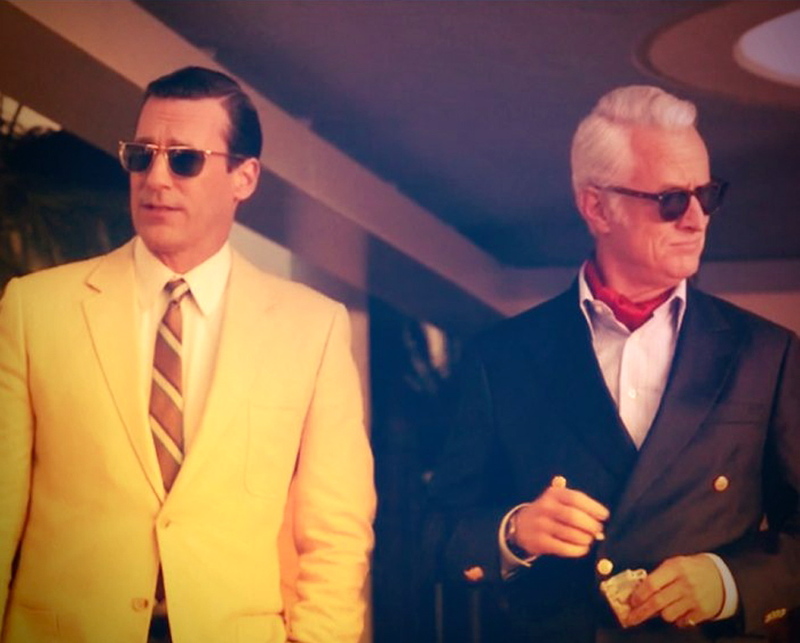 Mad Men has finally taken its foot off the gas some1, examining the power struggles we deal with in life, and the concessions we are forced to make due to them. In an episode entitled ‘A Tale of Two Cities’ we learned once again how hard is can be to go from A to B sometimes, or more aptly put – from SCDPCGC to SC & Partners……. ‘A Tale of Two Cities’2 focused on fierce rivalries: DNC protesters vs. the establishment, East Coast vs. West Coast, Ginsberg vs. The Man, business vs. politics, and Joan vs. Pete. The episode begins with a shot of the Democratic National Convention in Chicago in 19683, the city calm on the evening before the riots occurred, alluding to one of the central themes of this season: impending doom. As the riots begin, and are interlaced with the escalating struggles within the office, it is clear that the violent tension occurring outside the office is a higher-stakes version of what’s happening within. Reminiscent of Don’s lost weekend in Season 2 he heads back, back to Cali, this time with Roger in tow. The differences in our country’s coasts were toyed with the entirety of the trip. LA was mellow, full of hippies, hotties, and drugs. LA executives were defensive and felt looked down upon by their NY counterparts. Conversely, NY was rife with backstabbing, power plays, and fierce jockeying on the fragile rungs of the corporate ladder. The obvious way in which Don attempted to fit in with the younger generation in LA underlies the emphasis on Don being a relic from a bygone era. His time has passed; his unwillingness to change (or failure when attempting to) will be his undoing. Once again the age-old proverb holds true, as there is ‘no country for old men’4. Mad Men theories went viral this week, proving the show’s writing5 is still satisfying viewers appetites on many levels. The first such discussion involved around the anomaly of Bob Benson. The ole ‘www’ wondered aloud if Bob was perhaps a spy, or an investigative journalist, the “falling man” from the opening credit sequence, a symbolic younger version of Don Draper, or possibly even a psychopathic murderer. Although highly featured this week, and Cutler’s new golden boy, we didn’t arrive any closer to the true answer. But we do know that for Bob’s listening pleasure he takes in the audio version of the self-help book How I Raised Myself From Failure to Success in Selling – and this can prove to be telling moving forward. The other Mad Men discussion sweeping across the Internet was the comparisons between Megan and Sharon Tate (Check this out! : link). This one is eerie. This one has us anxious and fearing for Megan’s safety. Joan’s arc this week is the backbone of the episode. Joan’s unwillingness to play by the rules, and her insatiable desire prove her worth as a partner without whoring herself out, is symbolized in two songs played during the episode. One is ”Harper Valley P.T.A.” by Jeannie C. Riley, which is heard during the party in the Hollywood Hills. The other is Big Brother and the Holding Company’s “Piece of My Heart” which played over the closing credits. Both songs are performed by strong, tough women who do not take kindly to being pushed around by men, just like Peggy and Joan. Peggy and Joan’s discussion of Joan’s unethical behavior escalates quickly, and skeletons in both their closets are laid out on the table. At first glance, Peggy is taking advantage of the situation to finally bite back at her former mentor who had her learning the hard way in Season 1, but it never necessarily becomes dysfunctional or spiteful. Peggy and Joan have traditionally had each other’s back, and we see it again this week as Peggy, always on her toes, literally saves Joan from a major jam in the end. I don’t think we’ve ever seen Joan so vulnerable before as Peggy absolutely put her in her place this week, another example of the pupil seemingly becoming the teacher. John Slattery, who once again directed this episode, usually puts his forces of darkness to use in painting haunting pictures of Pete Campbell, but instead does this expertly with Joan. 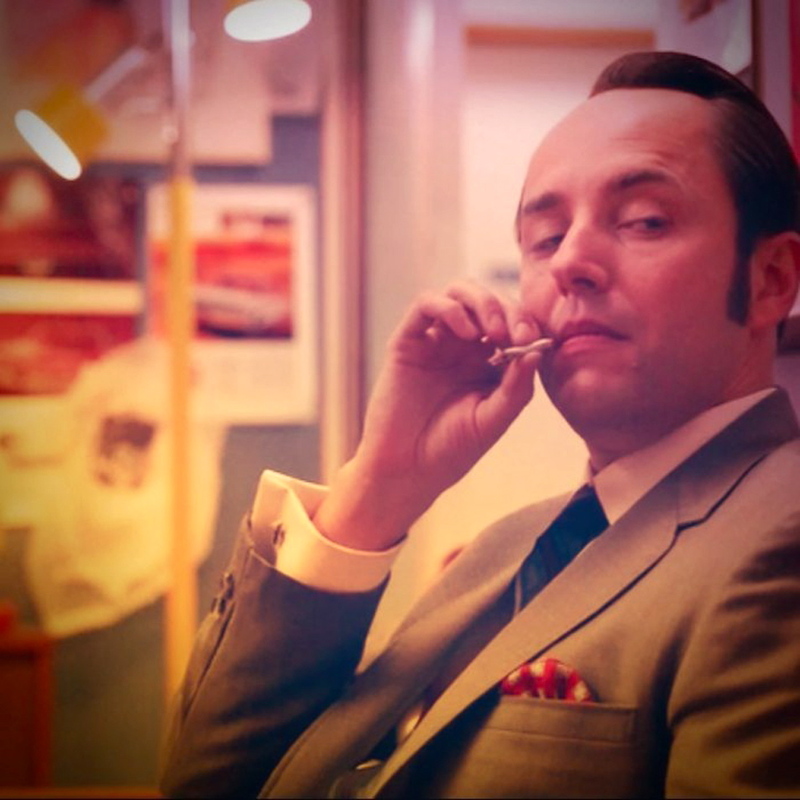 As the episode concludes, a defeated Pete Campbell steps out of character surrendering to a culture he is far removed from in an epic culmination to the episode6. To deal with his unyielding frustration Pete gives this whole marijuana thing a go. Pete finally steps over the edge, and if you can’t beat ‘em, join ‘em. 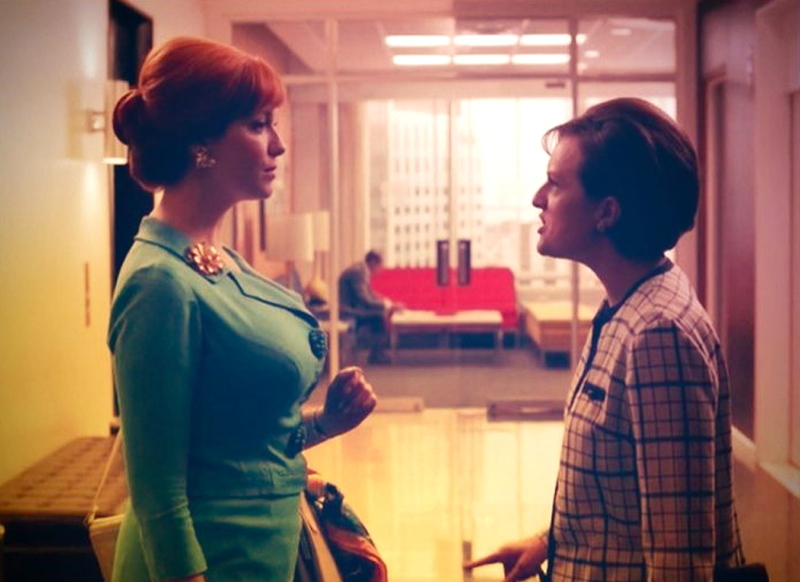 In Joan’s meeting with the Avon executive7 she declares that Avon is unsure whether “we should try to be groovy or nostalgic.” This statement perfectly sums up Mad Men this season as we venture into the late 60’s, and the nation is dramatically changing, the characters left trying to adapt. The stiff businessmen of the 50’s are the oil to the water that is the dynamic youth of the 60’s, yet the two are being shaken together with ferocity. Pete complains to Don as the episode wanes that the business is dramatically changing and Don’s answer is if he doesn’t like it he should just get out. 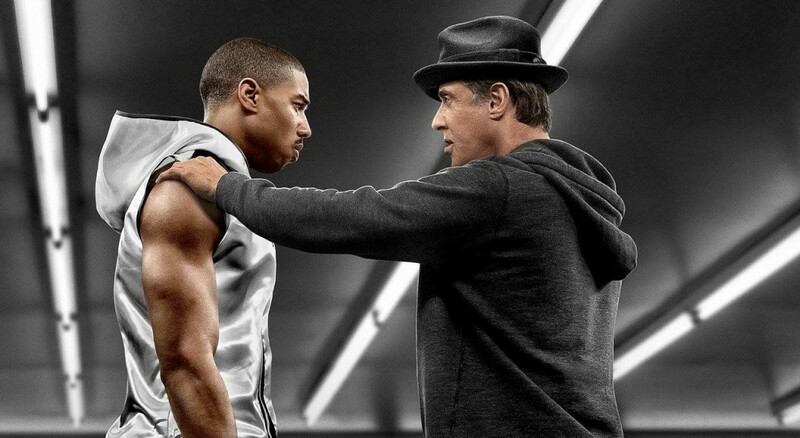 It does feel there is a storm on the horizon, one that when it does approach will be unforgiving. Maybe just getting out isn’t such a bad idea after all. Yet nothing is that easy, particularly on Mad Men.